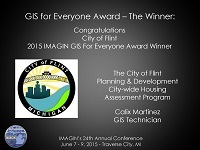 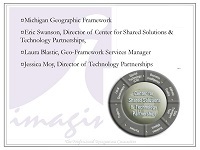 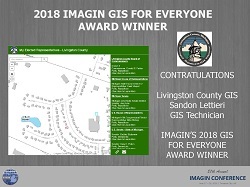 The IMAGIN GIS for Everyone Award is presented to an organization that seeks to make GIS data or analysis accessible to other organizations and/or to the public. 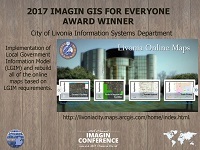 GIS organizations that strive to disseminate and share data make spatial data available to everyone. 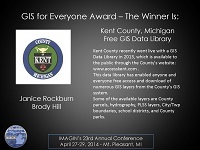 Awarded since 2000, the GIS for Everyone award is now in its 20th year of being awarded. 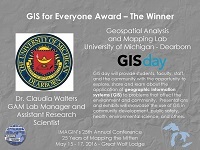 To nominate an organization for the GIS for Everyone award, follow the link below. 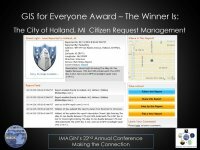 at no charge for the first time.